Here are a few of the STAN cartoons which have appeared to be very popular. 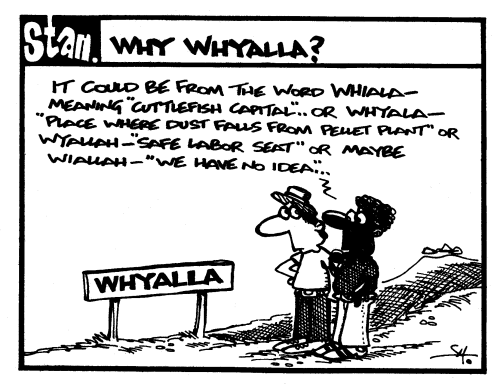 In 2002 there was some discussion about the origins of the word WHYALLA. These were my suggestions.